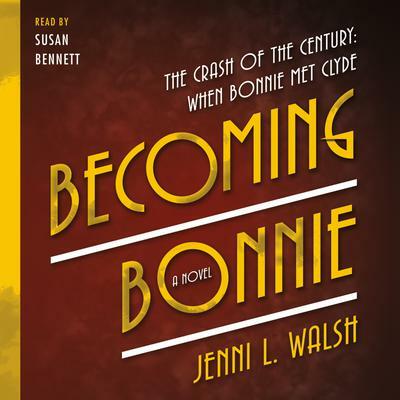 From debut historical novelist Jenni L. Walsh, Becoming Bonnie is the untold story of how wholesome Bonnelyn Parker became half of the infamous Bonnie and Clyde duo! The summer of 1927 might be the height of the Roaring Twenties, but Bonnelyn Parker is more likely to belt out a church hymn than sling drinks at an illicit juice joint. She’s a sharp girl with plans to overcome her family's poverty, provide for herself, and maybe someday marry her boyfriend, Roy Thornton. But when Roy springs a proposal on her, and financial woes jeopardize her ambitions, Bonnelyn finds salvation in an unlikely place: Dallas's newest speakeasy, Doc's. Living the life of a moll at night, Bonnie remains a wholesome girl by day, engaged to Roy, attending school, and working toward a steady future. When Roy discovers her secret life, he embraces it—perhaps too much, especially when it comes to booze and gambling—she tries to make the pieces fit. Maybe she can have it all: the American Dream, the husband, and the intoxicating allure of jazz music. But her life—like her country—is headed for a crash. Bonnie Parker is about to meet Clyde Barrow.